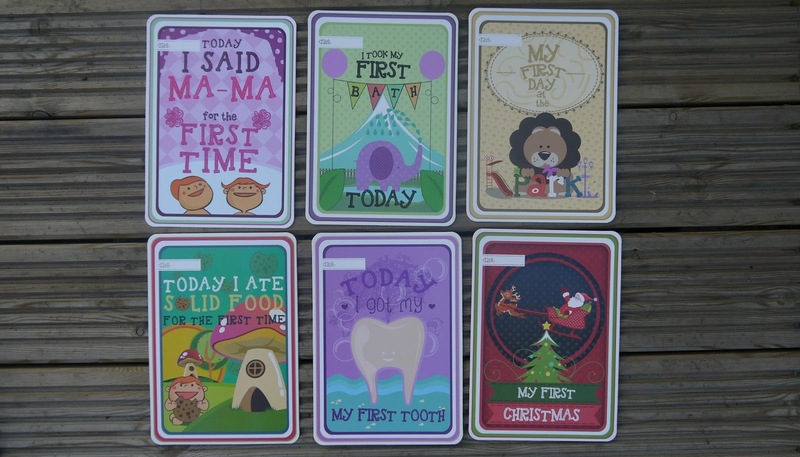 So I recently got some beautiful moment cards sent to me and I'm gutted I din't get any before Lawson was born because how sweet are they? 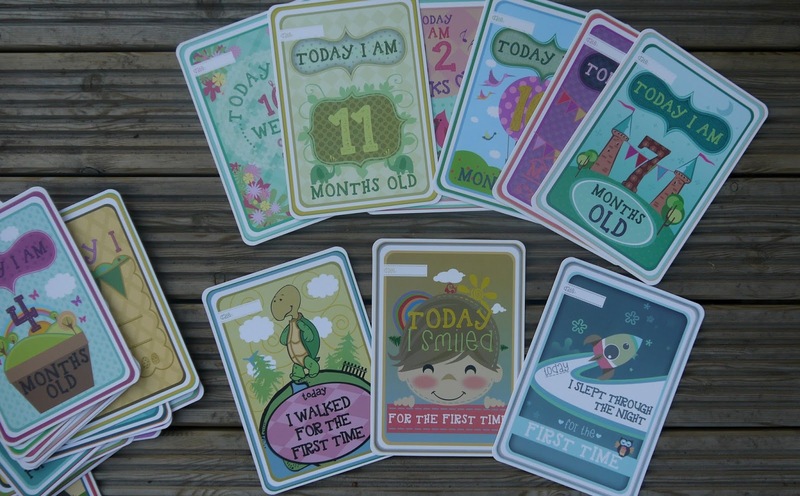 They have cards such as 'I took my first bath today' 'I slept through today' then you put the dates in so I've missed quite a few but I think these would make the perfect baby shower gift or just to give to a friend/family who's expecting. It's different and lovely at the same time. I still have quite a few to get through though anyway such as 'I'm five months old today' which he actually is today! With the rest of the age updates, 'I said mamma today' 'I said dadda today' so cute. I'm really hoping he says mama first this time as Oscar said Dadda! Gutting aha. I love how bright and colourful they are and the perfect size to add to pictures of your little ones to keep in frames when they are older. I'm so pleased I have some and can't believe I've never seen anything like this before or when I had Oscar they're a bit more creative than doodling in your notebook. 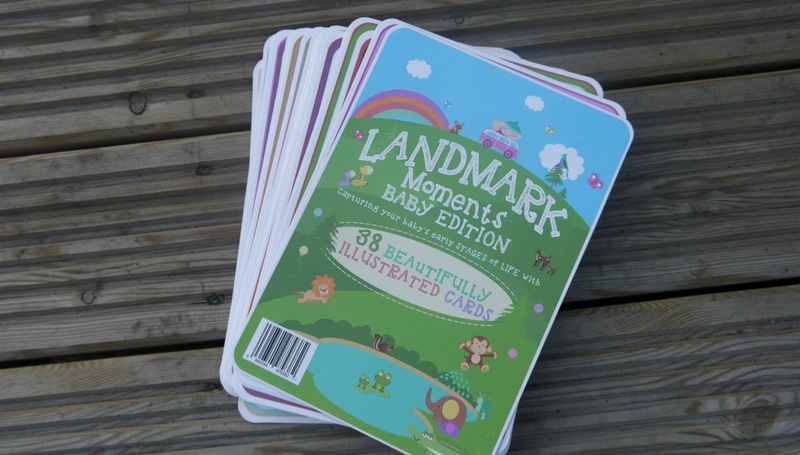 What do you think to Landmark baby moment cards?